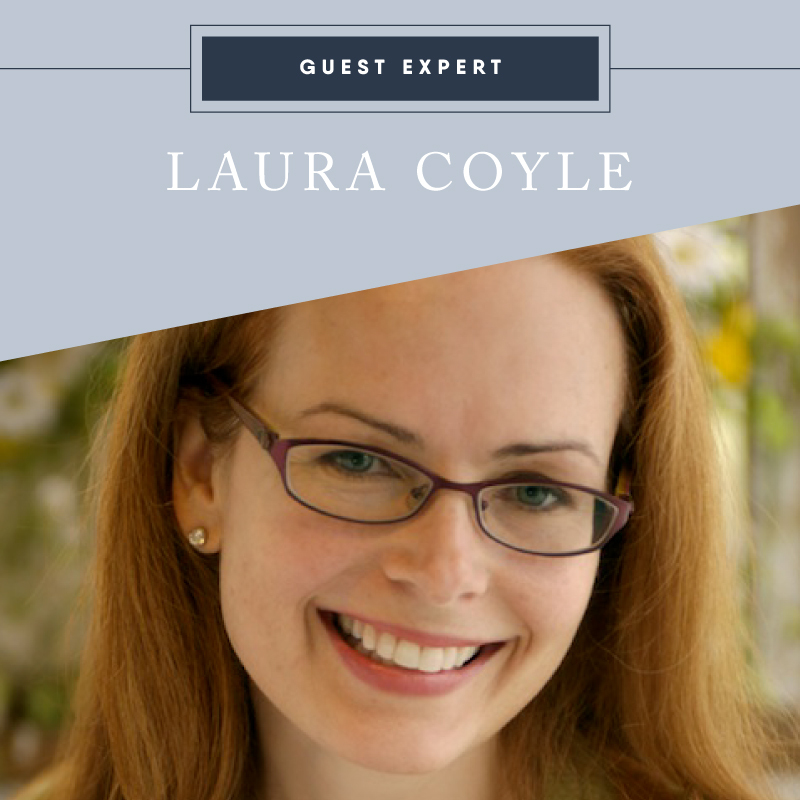 This month we have the privilege to welcome Laura Coyle to the Textile Design Lab as our guest expert. In addition to being a talented illustrator and working with clients such as Target, Amazon.com, Disney, Laura is also a fantastic teacher. On Tuesday, July 31st, Laura will be in the Lab demonstrating Illustrator’s fantastic Recolor Artwork feature, but she is here today to tell us about her work and tips for using Adobe Illustrator! Can you remind us of your design background and tell us about what you’ve been up to since you were last a guest expert in 2015? How has your business grown and changed over the years? I have been working as a freelance Illustrator for almost 25 years with an array of editorial and book publishing clients (Better Homes and Gardens, Wall Street Journal, Scholastic), advertising clients (Target, American Express, Amazon) and greeting card companies (Papyrus, Hallmark). Looking to expand my range, I exhibited at Surtex for art licensing and later started teaching Adobe Illustrator online, which I’m still doing now. Last year I was a speaker at the Creative Pro conference in Atlanta and later this year I’ll be speaking at Adobe Max in LA. The biggest change in my career recently is that I am taking more time to work as a musician, something I have been doing part time for the past 10 years, but now am finally starting to give more attention to. So while I’m doing less illustration work and teaching than I have in years past, I’m learning a lot from the creative parallels I’m discovering between my music and art careers. What does a typical day look like for you running illustratoring.com as well as your own freelance design business? What are the different hats you wear? My typical day is a lot different than it was just a year ago, because now I try to start every day by getting my vocal warmups and music practice taken care of in the morning before I do any other work. When I need to work on learning new Photoshop skills, I include a set amount of daily practice time for that too, and it can be so helpful. Even 30-45 minutes a day will bring results when you are trying to learn new software skills. It takes repetition and training to foster muscle memory, just like with music. You don’t have to create anything amazing, just show up every day for a little time in Illustrator or Photoshop. Can you tell us a bit about some of the latest updates to Illustrator that have made the program more useful to surface pattern designers? What are some of your favorite changes or additions in the last few years since your last guest expert training? Sometimes it’s the little things: In the most recent update Adobe made it possible to adjust the size of anchor points and handles, to make them easier to see (Preferences > Selection & Anchor Display). The new Properties Panel is something that can be very helpful for newer users, because it gives some good contextual menus and options in one handy panel, depending on what you have selected. The Puppet Warp feature is worth exploring for bending and tweaking objects and type. What are some of your favorite tools in Illustrator? Are there any tools that are less known or don’t get as much use from designers that you think should get more love? I’m always talking up the Appearance Panel, because the goodies are not readily apparent, but the more time you spend with it, the more you will be rewarded. Whenever I’m adding effects to vector objects (or groups, or type), I do it via the Appearance Panel, it’s like a layers panel for objects, and you can stack effects and other appearance attributes like strokes and fills. Then, you can save what you created as a Graphic Style and apply it to other objects with a single click. I have a fun tutorial on my blog that demonstrates creating a scalloped border that is great for Appearance Panel beginners. Some designers love the clean vector look and others are more drawn to more textural, layered looks. Do you have any words of encouragement for those designers who tend to shy away from Illustrator? Perhaps unexpected ways they may not know you can achieve looks with a more textural feel? Brushes are great for adding texture, and it’s fun to make them when you are out and about on a texture hunt with your phone. Using the Adobe Capture app, you can snap a real world texture, refine it into a brush, and see it pop up, ready to use in your Library inside Illustrator. I encourage all designers to learn Illustrator, especially if you are more Photoshop-centric, because the 2 programs compliment each other so well. For textures, you can use Photoshop to edit a texture from a photo, turn it into a black and white bitmap, and save it as a tiff. Then, place it in Illustrator, give it a color, use the multiply blending mode, adjust the opacity percentage, and use it to overlay your design with texture. 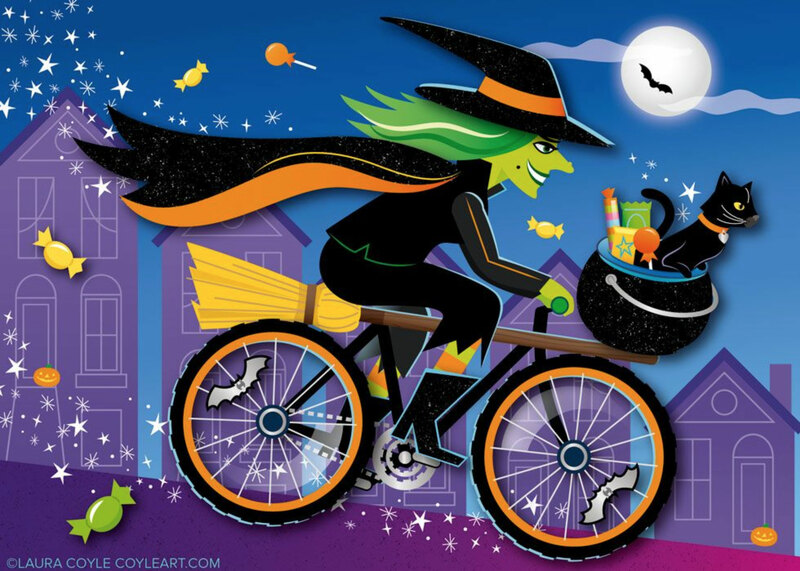 Alternatively, you can take any scalable vector art from Illustrator and use it in Photoshop as a Vector Smart Object, where it retains some Illustrator scalability and editability, while you add painterly Photoshop touches. There is tremendous power in knowing both programs. Illustrator’s unique superpower is the unlimited scalability and flexibility of the art you create, and it’s so much fun to explore! Do you have any tips or resources to share with surface pattern designers who are ready to start learning Illustrator or improving upon what they already know? How much of a time investment do you think a newbie needs to spend to become well-versed in the program? As for the time it takes, I think a little bit every day can go a long way. So much of what you are doing is remembering where things are and what they do, so it’s important early on to try and make it a daily practice. Then, if you have an opportunity to do a full scale project and throw yourself into it fully, you will gain some serious skills before you know it. Everything I learned about Illustrator came from trial and error over years of developing my style, working for clients, and teaching. My Photoshop skills lag behind because I don’t use it as much, but whenever I set myself a daily practice routine, I get better at it, and them I’m ready to use it when the right project comes along. Those marathon project sessions are where you can really cement your skills. Or take a class – there are so many great project-based classes available that make it easy to home in on what you really want to learn. Can you give us a quick preview into the training you will be offering in the Textile Design Lab? What can people expect to learn? I’ll be demonstrating Illustrator’s fantastic Recolor Artwork feature, which allows you to try out a new color scheme on any artwork you select. For those who are new to it, the interface can look a little complex, so I focus on the most useful aspects to get you up and running. For those who are already using Recolor Artwork, I’ll demonstrate a few tricks to help you get more out of the feature. Textile Design Lab members can find a link to Laura’s Live Training in our Member Dashboard. Not a member? Get started here.